Home / About Yoga 7 / What is Yoga? Yoga 7 teaches a classic and traditional Yoga practise from the lineage of Swami Sivananda who was one of the few people that introduced yoga here in the West. 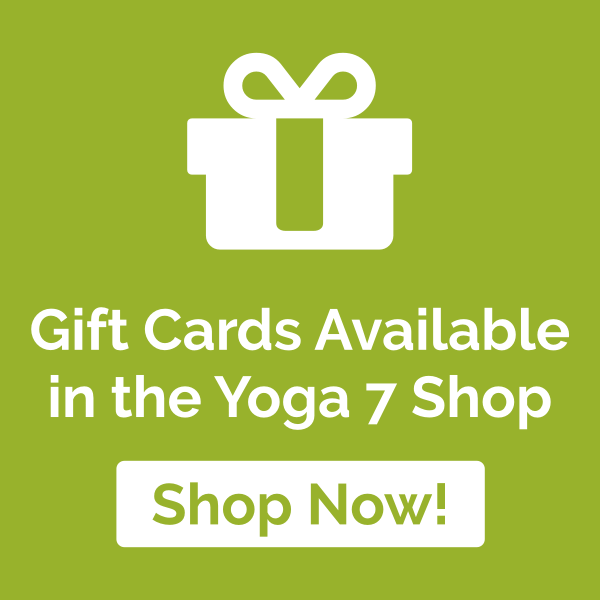 Yoga 7 incorporates Ashtanga, Vinyasa, Kundalini and aspects of Iyengar Yoga in to each class. Within this tradition each class is 90 minutes duration incorporating proper breathing techniques (pranayama), postures (asana) and relaxation (yoga nidra). Hatha Yoga is the physical practice of yoga postures – Asana, as it is referred to in Sanskrit. Hatha yoga and Yoga itself are different journeys to the same destination of raising awareness and consciousness, so if taught properly, any style should give you the physical, mental, emotional and perhaps spiritual nourishment that you may be looking for. Since yoga came to the west, it has been taken further and further away from what it actually is, at least as far as Hatha Yoga is concerned. There are multiple aspects of Hatha Yoga with the most popular coming from the lineage of Sri Krishnamacharya and Sri Swami Sivananda, both considered the proponents of modern Hatha Yoga. Previous generations of yogis had paid no particular attention to the body but were more interested in contemplation and relaxation to the point where they could consciously escape the body. Their goal had been to leave the world behind and merge with a formless reality, the spirit. Yoga is about using the physical body to go beyond what is physical. I was once eavesdropping on a conversation in a queue, my ears pricking up when I heard the word yoga being mentioned, “Hatha Yoga is more of a classic style of yoga and tends to be slightly easier for beginners than some of the advanced styles.” I smiled to myself and thought, handstands are not easy. I still struggle to hold mine for as long as I would like to and some days struggle to hold it at all. Yoga is not easy and it’s not meant to be. It’s the work of the ego that makes yogis separate the different styles of Hatha Yoga. The meaning of the word “Yoga” is “union”. The science and art of yoga is a broad umbrella of many different styles and lineages, many of which do not include any physical activity which include Kriya, cleansing tools for example Neti pots, Karma, serving others, and Kirtan, wonderful chanting and music assisting in spiritual awakening. Yoga does not give you a religion but a methodology to follow as it helps you understand your mind, body, actions and emotions, and is also used for medicinal purposes. Ashtanga Yoga are the eight limbs of yoga which should be adopted by Yoga teachers regardless of the style you practise. The meaning of Ashtanga has changed since popularised by K. Pattabhi Jois in 1948. In Ashtanga Yoga practised today, the order in which postures are taught and practised is significant. Kundalini Yoga refers to the a system of meditation and yoga asanas directed towards the release of kundalini energy and Iyengar Yoga, named after BKS Iyengar (1937), focuses primarily on the alignment and precision of each posture with a particular focus on using props to assist one’s asana practise. Vinyasa Flow Yoga refers to a sequence of postures that flow with the breath, moving with intention and sometimes to music without the linear order found in Ashtanga or alignment and props of Iyengar. There are many new and different styles of yoga which are in vogue in the West, particularly in recent years, some of which are created by individuals taking yoga further away from its tradition for example Forest yoga, Jivamukti yoga, Bikram yoga, Vinyasa Flow yoga, Power Yoga and Fitness Yoga. Sivanander Yoga is a classic and holistic approach, the teaching have survived intact and are practised as originally presented in India by Swami Sivananda in 1936. Sivananda yoga is an international practise which follows the same format worldwide. This holistic approach focuses on the importance of preparing and cleansing the body with pranayama to start. The asana will vary other than the usual basic postures to warm up the body, depending on the students, but always giving options and balancing the body with counter postures. In Sivananda Yoga at Yoga 7, an asana sequence is usually followed, enabling the body to warm up before more strenuous postures are practised which is assimilated with the ashtanga approach. Postures like the seated forward bend and advanced postures like the scorpion, side crow and headstands are incorporated in some classes also similar to an ashtanga approach. The pranayama and asana is a way of assisting the awakening and rising of the kundalini energy. We work on body alignment, use blocks and straps to assist with postures as you would find in an Iyengar class, and vinyasa flow is experienced during Sun Salutations. With regular yoga classes you will sleep better, build strength, reduce stress, boost your energy and your immune system, improve muscle tone and definition, flexibility, circulation, weight loss, relaxation, happiness, prevent and help with osteoporosis, treat back pain and stiffness, help stomach troubles and keep yourself fit. Take a step towards a better quality of life by trying a class today. The benefits of a regular yoga practise at Yoga 7 are endless.